I’m talking about the new drink of choice…GIN! This zesty goodness has become hugely popular in the last few years and so many new gin distilleries have popped up. Over 70% of the gin produced in the UK is made right here in Scotland and now we have the Scotland Gin Trail. 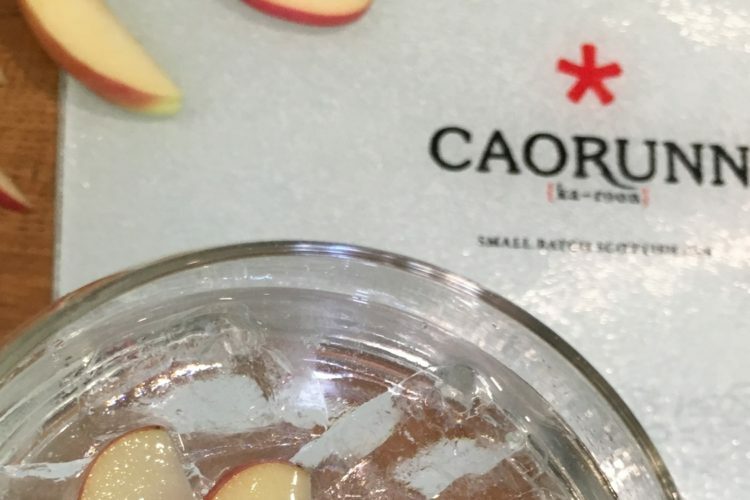 With that in mind we just had to arrange a little excursion to the home of Caorunn Small Batch Gin Distillery, just 10 minutes away in Cromdale right here in the Cairngorms National Park. It was an excellent tour hosted by our friendly guide Emma who was so knowledgeable about the interesting and colourful history of gin. She was telling us that at one time there was no licensing for the production of gin and so everyday folk were giving it a go and making a real hash of it. So much so that people would be drinking an unrefined product and then lazing around all day, hence the name ‘mothers ruin’. No wonder it went out of fashion for a while! But once licensing was introduced the quality of the spirit soared and a few hundred years later it is now a runaway story of popularity and tastiness. Premium and small batch Caorunn gin is handmade using a unique blend of 11 botanicals, most of which are foraged by hand from the hills behind the distillery. You really get a hands on feel for the ingredients on the tour. There is a wonderful section where you can smell and taste all of the botanicals that go into the gin, which was a really good laugh. At the end of the tour Emma knocked us up a fabulous G&T garnished with apples from the very tree that inspired their gin recipe. So whilst you can visit the Speyside for the wonderfully world renowned Malt Whisky Trail, you can now also take in the tastes of the Scotland Gin Trail too. So bottoms up everybody!